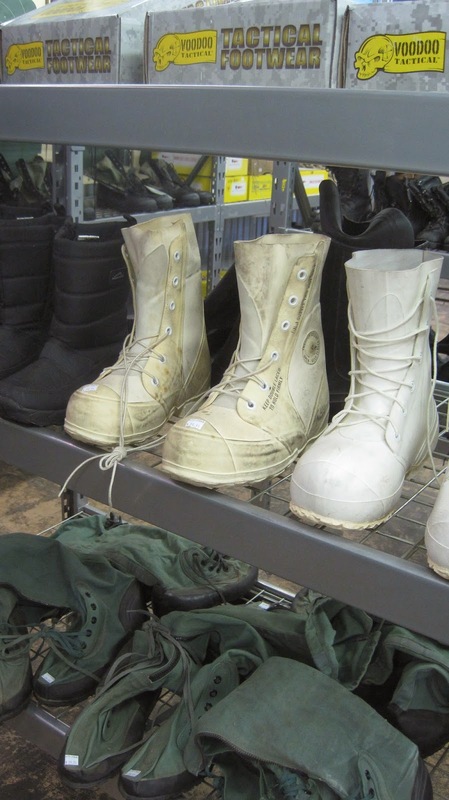 WHAT were these white boots used for?? A hidden gem on N. 1st! Who knew?! Certainly not me. 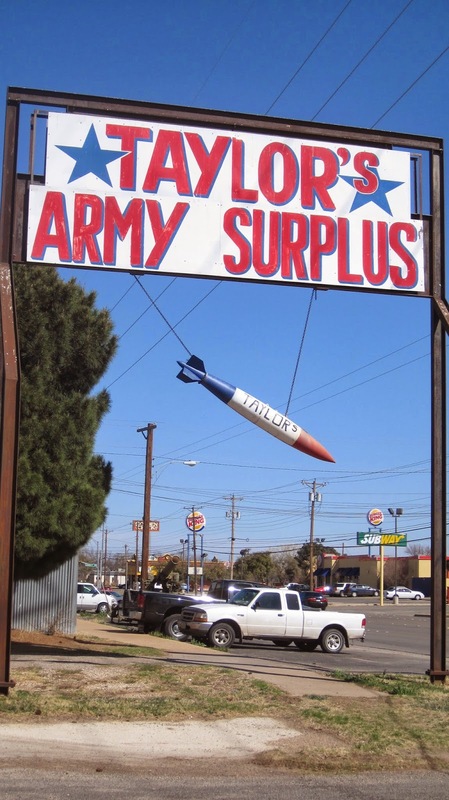 In over 3 1/2 years, I'd never even noticed the rocket suspended from the sign or the cannon displayed in the parking lot. It was so cool in here that if this place had a donation box like museums do, I would've put in some money. The outside never would've gotten me in the door but our son had been in several times, so I went with him. Hung around the tops of the metal corrugated walls are jackets of uniforms from all over the world. Fascinating. In a back room they have a rack of similar jackets for sale for $9.99. 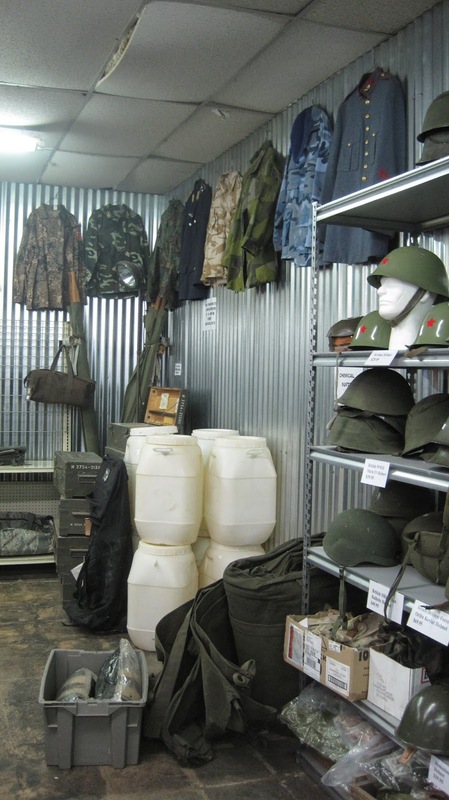 Mixed with basic merchandise like wool blankets and sturdy plastic buckets with lids, you'll find multicolored, jungle-appropriate (I guess) long rain ponchos and a surprising variety of stuff. 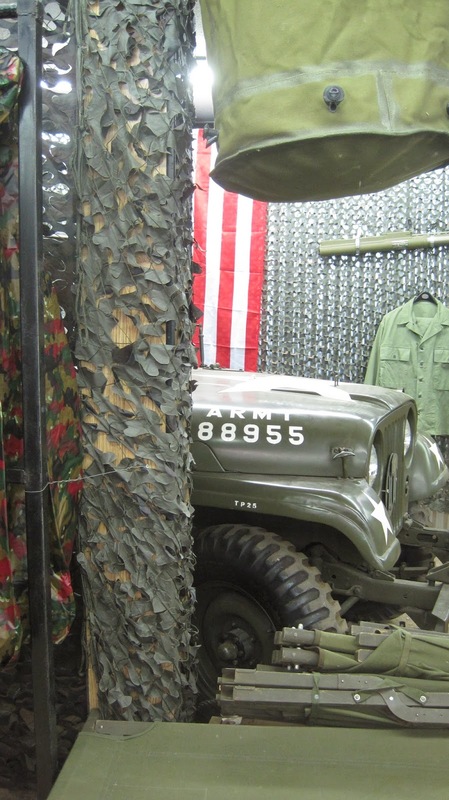 There's a full-size army jeep parked in there, as part of an attractive display. I could go in several times and wander and enjoy myself. "ABC San Antonio: An Alphabet Guidebook to the Fiesta City"
I'm a discoverer, an observer, and a writer. The perspective of a military spouse is unique, as moving often makes us develop tourists' eyes. It’s a thrill discovering “new” museums, parks and restaurants in a city. I like to explore as a newcomer, then share that information. I hope you enjoy these personal notes and articles. What might be old hat to many is brand new to others.